The Tomahawk 1-6x24 provides clarity, durability and accuracy that is unrivaled by any other Low-Powered-Variable-Optic at similar price points. Sporting a Second Focal Plane (SFP) glass etched, illuminated reticle designed for dynamic shooting, and an included throw lever for rapid magnification adjustment, this highly versatile scope is ideal for 2 & 3-gun competitions. 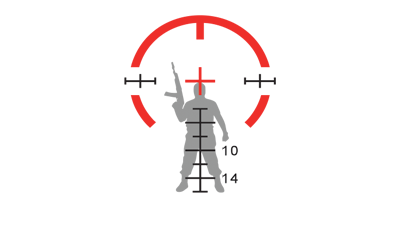 Choose between two different reticle options, the Guerrilla Dot BDC™ and Guerrilla Cross MOA™. Both the BDC and MOA illuminated etched reticles are designed to instantly acquire your target at short and medium range from a preset 50/200 battle sight zero. 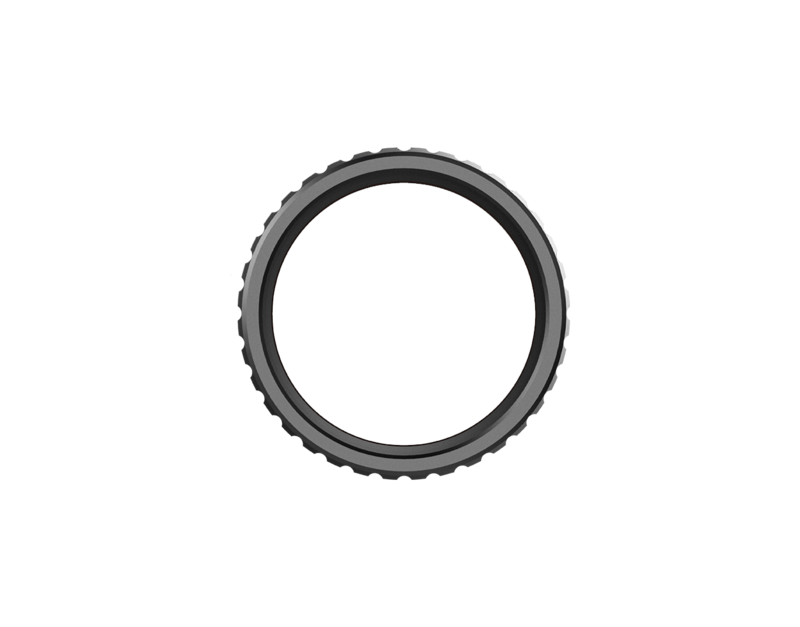 With true 1x optical performance, this riflescope and its reticles are designed to act like a red dot sight at short range. Keep both eyes wide open and maintain your focus on the target. Containing rare earth metals, the glass is optimized for maximum resolution and brightness. The lenses are fully multi-coated for maximum light absorption and anti-reflection, with extra specialty coatings for anti-fog, anti-scratch, and hydrophobic performance. 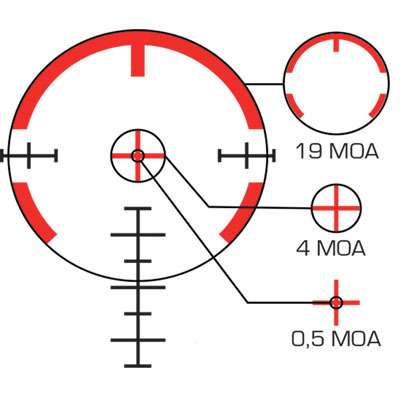 Rifle scopes at this price range often have a limited margin of error for eye placement, creating ellipses and blocking the full sight picture unless your eye is positioned perfectly. The Tomahawk widens this margin of error, providing more speed and flexibility in acquiring your sight pictureat full magnification. 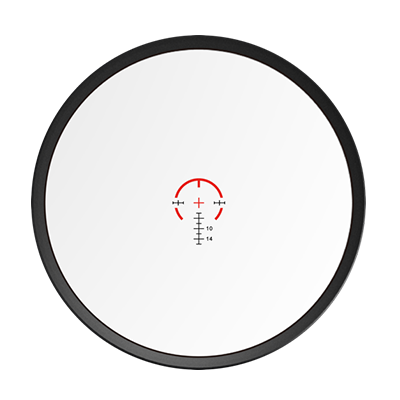 Calibrated for the AR platform with a 16” barrel and using 5.56 NATO 55gr FMJ, this reticle does it all. It has a 1.5 MOA quick strike red dot, an 18” outer circle for quicker strikes at short range, holdovers out to 600 yards, and ranging capabilities for plinker plates and humanoid target shoulders out to 500 yards. This is definitely a quality optic, and is possibly the best LVPO in its price range. In comparison to the Vortex Strike Eagle, which is probably its strongest competitor, it truly stands out. The glass quality is roughly equal between the two, but the Tomahawk feels more rugged and the Guerrilla BDC reticle is superior to the Strike Eagle's. However, if glass quality and ruggedness are your concern, spend the extra $300-$400 for a Sig Sauer Tango or a Vortex Viper PST. The fact that it comes with the throw lever is a plus, too, and I am excited to try the Kingslayer on my Sig 320 X Carry. The grass is very clear, the turrets have positive clicks and the finish is very nice. I was torn between this and another optic from Vortex due to the price and Law Enforcement discounts provide to us.. and this being a newer company so I took the leap and purchased this instead. I'm very pleased with this purchase and would easily compare this to more expensive LVPO's I recommend It if you are looking for a great optic at a great price! It sure was very hard for me to purchase a Scope from a new Company. But I already had been curious started researching the Company and signed up for there Email. At Christmas time I received there offer to buy one Get one so that gave me the opportunity to have one to test. After 40+ years of owning every brand Optic there is and what to normally look for after reading all the details I knew if it could pass a torture test this Optic had all the Functions to be used on my Battle Rife And be used in 3 Gun Championship Shooting. It was only 2 clicks low at 50 yards out of the box on a 14.5 556 Barrel. 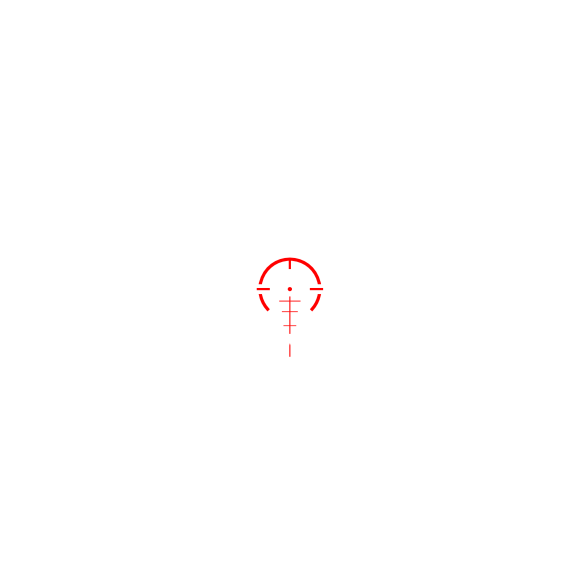 The Reticle is very Daylight bright and the Horseshoe Is a true 12 inch as stated in the instructions. I shot 200 Rounds of 223/556 55g /62g. It Tracked absolutely perfect and the Glass is unreal Clear like you see in Optics twice the price. I was taking it off of my AR15 to see if it would hold up to the Recoil of my 308 rifle while it was off I decided to really give it a test I threw it as hard as I could it bounced up did a 360 or 2 and hit direct on the rear lense the front and rear Reticle was full of mud I cleaned it out with a water hose and tooth brush brush put it back on my AR15 to see what all broke and it was still dead zero at 50 all way out to 200 yards that’s all the distance I had that day. People this product is the Real Deal I don’t have a clue how they do it for the cost but I don’t care either. I want every Optic they sale before the word gets out to everyone. I’m going to Purchase the 1-8-24 next and replace a $840.00 Optic on my Custom 6.5 Grendel Hunting Rifle. This Company is on a Mission.